A Reader's Adventure! 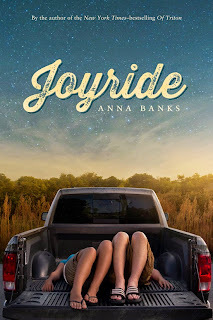 : Joyride Blog tour + Giveway! Thanks for the giveaway! This book is definitely on my to read list. Hmm...a prank? Every year, on April Fool's Day, the local radio station used to tell listeners it was an hour later than it was, making everyone think they had overslept and were late for work or school. So many people fell for it. The hysterical call-ins were fun to listen to. This prank was really disqusting but it was awesome! What made it awesome was how the person did not expect it. The boyfriend made eggrolls and in one eggroll he put cat food and dog hair. It was so funny and nasty at the same time. A group of girls on my floor at school pranked a guy on our brother floor who really loves apples (he eats about 5 a day) by replacing most of his stuff in his room with apples; his clothes, his shoes, his mattress, etc.